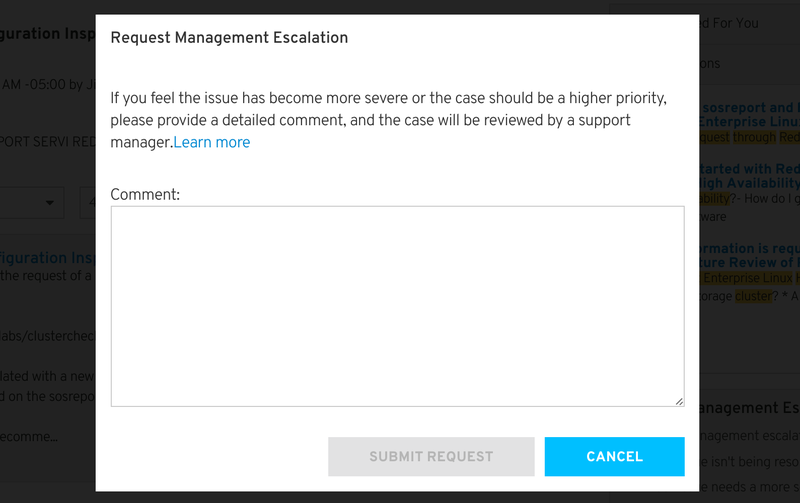 If you feel your support case requires extra attention, escalate it with one of the options below. Have your case number ready and an associate will initiate the escalation. A support manager will contact you within 4 hours. 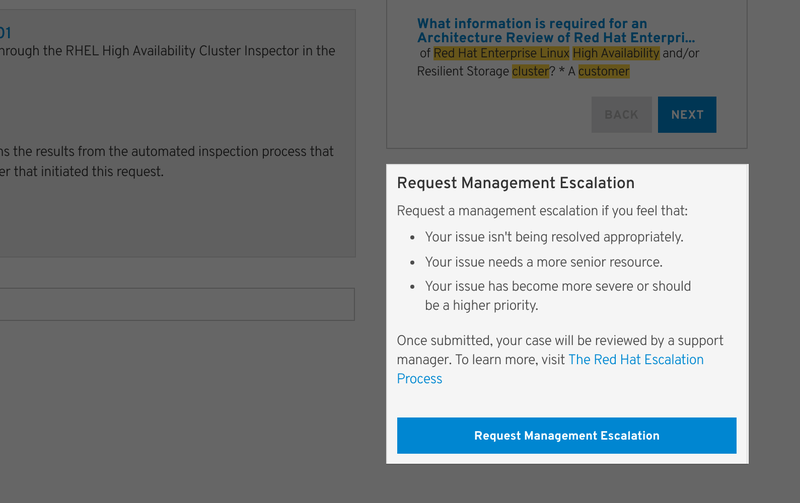 From the Support Case List, select the case you wish to escalate and click Request Escalation located on the right under recommended solutions. In the dialog, be as specific as you can regarding your area of concern, business impact and expectations. Click Submit Request. A support manager will contact you within 4 hours. Your Red Hat Sales representative or Technical Account Manager (if applicable) can also escalate on your behalf. This number for mission-critical issues only. You will be connected to the on-duty Escalation Manager who will route your escalation to the correct place for resolution. Depending on call volume, you may experience a brief period of silence before you begin to hear the line begin to ring. Have a question about a Red Hat certification or certification exam you've already taken? If you suspect a Red Hat product has a security vulnerability, we want to know. Refer to our security contacts and procedures page for more information.